A beautiful Victorian inspired 18kt. yellow gold ring with 1 bezel-set, rose cut diamond, est.0.84ct( I1clarity: H-I colour). 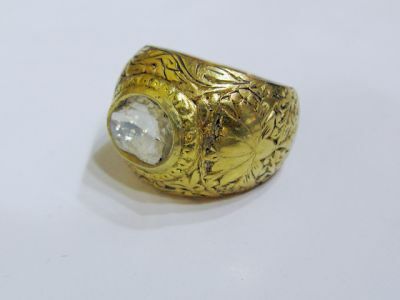 This ring has engraved with foliage motif.